I thought I would review an App that my 2 year old daughter loves! 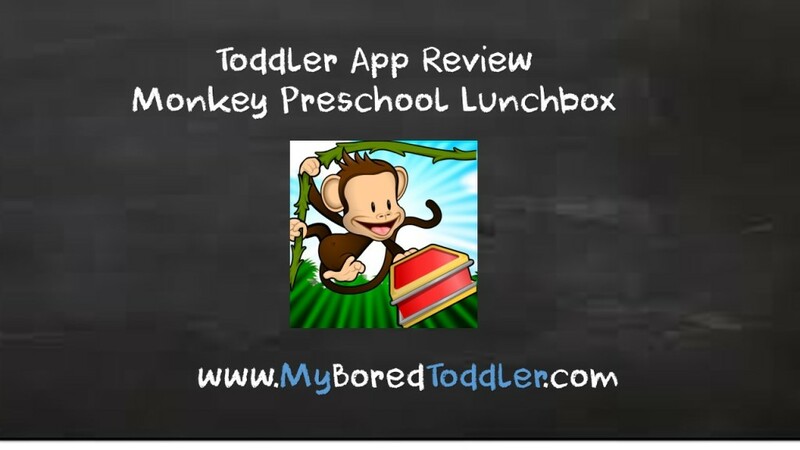 Monkey Preschool Lunchbox has been one of her favorite Apps for over a year now. She finds it very entertaining and I love that it is very educational. Why should I download it for my toddler? There’s something about this Monkey that Toddlers seem to love. This fast paced game is full of a variety of simple games aimed at teaching basic math skills. There is a simple memory game, lots of opportunities to practice counting and great simple puzzles. Your Toddler will be rewarded with stickers along the way (what Toddler doesn’t love stickers!) which are saved for future games on a sticker chart. The music hits that fine balance of being fun without being too annoying, and when the volume is up, the activities are explained in a simple manner. I really love this app. It is simple enough for a toddler to play on their own, but teaches some great foundation skills. This has been my Toddler’s favorite app for quite some time now and even with all of the new apps I have downloaded for her she will still go back to this one quite often. This is just one in a range of Monkey apps from the same developer that are very popular. I highly recommend this app for toddlers 18 months plus. What activities are included in the app? There are a variety of simple click and drag puzzles of different fruit. These puzzles will be a little difficult for the younger toddler, but I found that it doesn’t take them long to figure them out and then get quicker and quicker. Children are asked to “touch all the red (or other color) fruit”. A great simple way for your toddler to learn the basic colors in a fun and engaging way. This is a really great memory game, where your toddler will need to match the fruit to find pairs. This is the game that taught my daughter how to play memory and she is so quick at it now. I love the fact that by learning to play memory via an app, she now has the skills to play normal memory with cards. There are a few very simple beginning letter activities. There’s nothing wrong with these activities, but if your toddler is switched on they will work out that the beginning letter matches the color of the word. Either way, they are learning a skill but if you are looking for an app that is mainly about letter recognition, this is not the one to get. A very simple but effective counting activity. As your child clicks on the fruit the monkey will count the numbers. The app focuses on numbers to 10 and is great for learning one to one correspondence.